As an early-stage small business you can build a very effective digital marketing strategy using the magic of search engine optimisation (SEO) and social media marketing savvy. This organic method essentially wins ‘free-clicks’ for your business. So why use paid search? Yes, it costs, but the benefits provided by paid search or pay-per-click (PPC) advertising offer a powerful return on investment (ROI). That said, as it is based on competitive bids, competing against a large business with masses of marketing spend can be difficult for a small business. 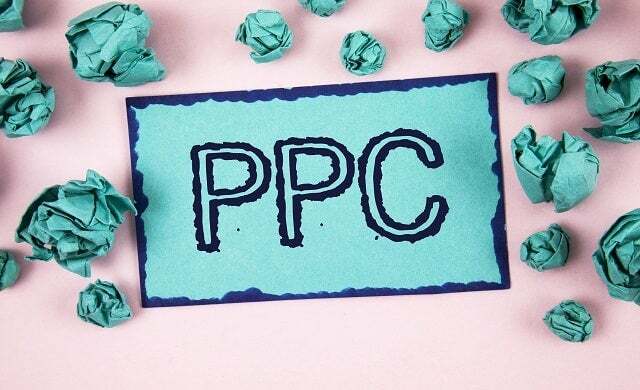 A solid understanding of PPC is the best way to use it efficiently and effectively. Below we look at how your business can use paid search to maximum advantage. What is paid search and why use it? 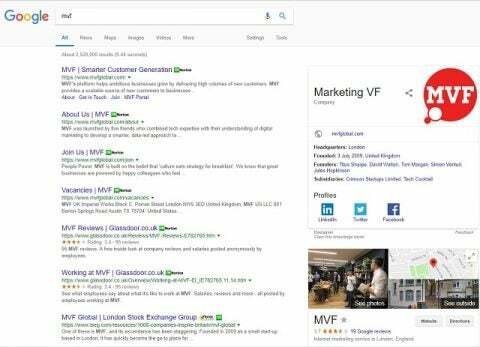 Paid search encompasses a variety of terms including search engine marketing (SEM) and PPC and involves appearing within the sponsored listings, pride of place, at the top of a search engine results page (SERPS) such as Google. If you’re not ranking at the top of SERPS then this could be due to a number of factors such as using a URL that isn’t SEO-friendly, you have more than one homepage, your website is slow at loading and so on. Here are 14 tell-tale signs your business isn’t optimised for search. PPC involves brands paying a small fee to the search engine every time someone clicks on one of their adverts. One of the most common methods of PPC is to bid for ad placement in the sponsored links at the top of a search engine results page. Google AdWords is the most widely used online advertising platform in the world, helping millions of businesses find new customers and fuel growth. How can you make paid search a success? First off, you need a battle plan: what are you trying to achieve with your paid search campaign? This will ensure your run an efficient campaign and can direct your resources appropriately. Choosing the right keywords will determine whether your campaign is successful or not. Use a keyword tool such as Google Keywords or SEMRush to research and identify different keywords you want to target. Keyword tools allow you to find and compare relevant keywords so you can see which have the highest-value search volume. You need to think about what your customers will be searching for, what phrases they will be using and what keywords most closely align with your brand, product or service. Eventually, you should have a comprehensive list of long-tail keywords (very specific three/four-word phrases) and head keywords (broad and with a high search volume). You should also create a negative keyword list. These are keywords you don’t want to appear for. Including them in a negative keyword list means Google won’t waste budget on them. You’ll then have to bid. The more popular a search term, the more competitive and expensive it will be to appear for that keyword. Don’t waste time and money on overly-competitive keywords. Determine a reasonable budget and stick to it. Now write copy that makes your brand distinct and tells the consumer why you offer the best deal. Include a call to action (CTA) that urges a searcher to click-through and fulfil the desired action. The landing page is the webpage consumers will arrive on when they click on your advert. This is where they will have the opportunity to complete whatever action you are trying to encourage. Tailor the design of your landing page around your goal and make sure the layout is simple and intuitive – it should be obvious what next steps they need to take. It can be tempting to create a landing page where the only option is to make a purchase or sign-up immediately. This hard-sell tactic can be off-putting to potential customers. Instead, provide a number of options that appeal to visitors who are at different stages of the buying cycle. The copy should be compelling and offer more helpful information about what the consumer can expect from your product or service. You should use your chosen keywords judiciously throughout the page. And don’t forget to make sure your landing pages work on mobile! 67% of mobile users say they’re more likely to buy if a site is mobile-friendly. Tools such as Google Analytics allow you to monitor a variety of metrics to assess the success of your PPC campaign. Whatever your goals are, this allows you to measure you ROI – the ratio of net profit to costs. Conversions – this is how many people fulfilled a desired action such as making a purchase, signing up to something, visiting your landing page, filling out a form, or making a phone call. Paid search can be a hugely effective way to achieve business goals such as generating leads, boosting sales, and driving awareness. Used in combination with well-executed SEO and other marketing efforts, a small business can receive a solid ROI on a small budget. Comprehensive research and intelligent use of analytics to refine your campaigns will see you achieve paid search success. This article is a part of the ‘Getting Online’ series sponsored by Verisign.